Everyone deserves the comfort and relaxation of a hot tub. The benefits of spa therapy will have an immediate impact on your health and well-being, leaving you wondering how you ever lived without one! There’s nothing more refreshing and rejuvenating than a nice dip in a hot tub, and at Haven Spa Pool & Hearth, we have a broad variety of options for you to choose from. 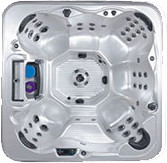 Located in Beaverton, Clackamas and Vancouver, we provide you with a selection of hot tubs that is guaranteed to suit your lifestyle. 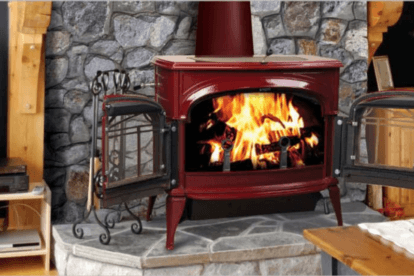 Our knowledgeable and experienced staff is here to assist you in your selection. Haven Spa Pool & Hearth offers a variety of “Best in Class” products and services to fit the needs of every customer. We’re here to help you “Create a Haven in Your Home” seven days a week. 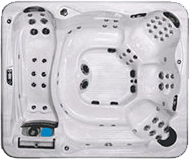 Shop our extensive offerings of hot tubs, in colors and sizes for everyone.